It is a curious paradox that, while for many centuries there has been deep antagonism between the British and the Irish, the latter have fought the former's wars with exemplary courage and tenacity. This has never been better demonstrated than when, as a result of the Irish regiments' superb service in the South African War (Boer War) at the end of the 19th Century, Queen Victoria ordered the formation of the Irish Guards in 1900 as a mark of the Nation's gratitude. Even after the trauma of Partition, Irishmen continued to serve in Irish regiments in large numbers and the tradition continued today. 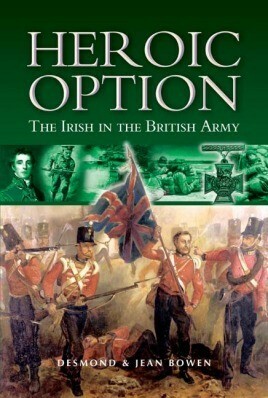 Indeed during the Second World War a very significant number of the most influential generals were of Irish extraction.